Ralph Lauren has appointed Zenith as the lead for global media buying and planning across Asia Pacific and Europe, the Middle East and Africa and North America. Within Asia Pacific, Zenith’s appointment will cover Singapore, Malaysia, Hong Kong, Taiwan and China. A Zenith spokesperson confirmed the appointment to Marketing. business as it delivers for consumers across the channels that matter most to them, the press statement read. The agencies are Dentsu in Japan and South Korea, Forward3D in EMEA and PMG in North America. The appointment is in line with its five-year Next Great Chapter plan comprising five strategic priorities. They include winning over a new generation of consumers; energising core products and accelerating underdeveloped categories; driving targeted expansion in regions and channels; leading with digital across all activities; and operating with discipline to fuel growth. Patrice Louvet, president and CEO, said during the recent earnings call that Ralph Lauren increased its marketing investments by 18% in the third quarter of its financial year compared to 2018. “We continue to shift our spend to channels that matter most to consumers today, namely digital and social,” he said. Louvet added that Ralph Lauren is looking at four specific ways to target the new generation. It wants to be where the consumer group is consuming media, which is digital and social, and is shifting its focus to digital commerce. It also plans to build a team of influencers that can represent all the dimensions of the Ralph Lauren brand and also “connect nicely” in the local markets with the target audience that it is pursuing. Lastly, Ralph Lauren will continue to roll out Limited Edition products. 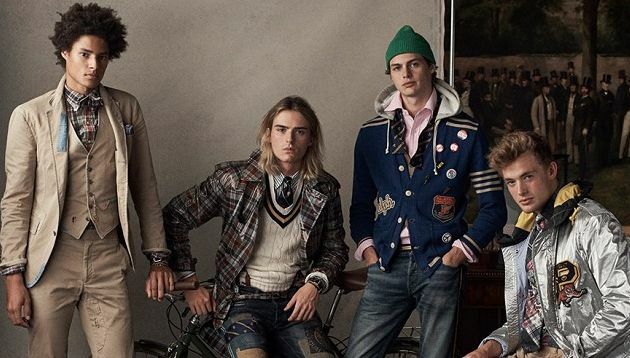 In the third quarter of its financial year, Ralph Lauren saw a 5.1% revenue increase to US$1.7 billion globally, with revenue in Asia jumping by 10%. CFO Jane Nielsen said during the earnings call that there was “strong performance” across every market with positive growth across Japan, South Korea, China and Australia. Nielsen added that its product and marketing initiatives are “resonating well” in this region, and it continues to increase its digital efforts and engagement with local influencers and celebrities. Moving forward, the group will be stressing on revenue, refocusing on delivering better and smarter products and services for its .. Besides the development of smart services, both parties will jointly develop marketing programmes and innovative ICT enablers. ..